Here as promised the Running Order! Which bands are you looking forward to? Hereby we want to introduce the last band to you and it is also the festival opener. We have come up with something special for the anniversary and the mens day. 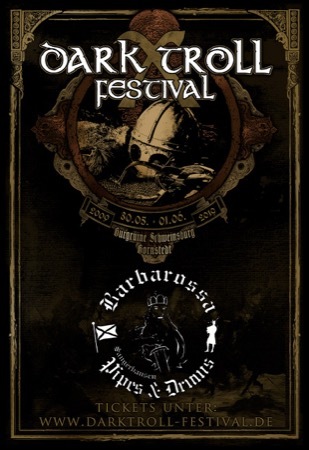 We invite the band from Sangerhausen "Barbarossa Bagpipes & Drums" to heat you up for the rest of this amazing Line Up. We are really looking forward to all what awaits us on this eventful weekend and are full of anticipation to welcome you all. We are happy to announce one of the final bands! And this is like every band in our line-up again a very special one ;-P! 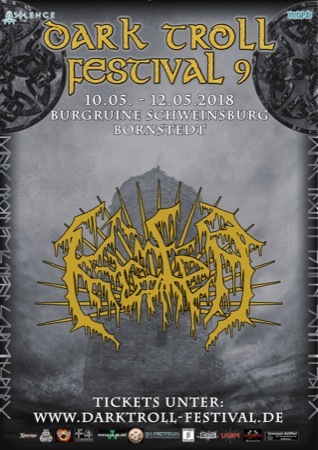 The band will be performing in Germany for the first time and friends of Rotting Christ will like this special announcement, as George Emmanuel founder of the band is known of his long time at Rotting Christ. The band was founded in Athens in 2013 and has released two albums till now, while the current album was released last year and is called "The Order". Look forward to a brutal performance of the Progressive Black Metallers Lucifers Child. So here comes one of the last bands we want to announce for our anniversary show. The young band (founded in 2017) from Thuringia has released till now one EP, but the debut album is pretty near, as it will be released around March / April. The EP is very promising and we are already looking forward to what the Thuringian band Isgalder will unleash on humanity this spring. 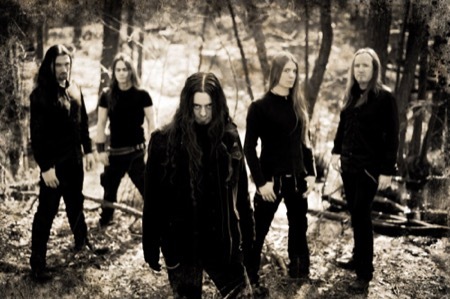 Stylistically, the band represent Pagan-Black Metal, but lyrical you can find also strong references to Pagan Metal. Here comes the next highlight for the Dark Troll Festival. We are happy to present you a band that celebrates firstly their first German gig at our festival and secondly is something genre-atypical again. 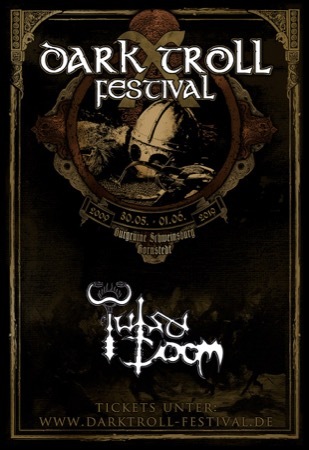 The band which was founded in 2014 that takes the long journey from Lviv, Ukraine, present Death Doom Metal and friends of the old school and fans of Bolt Thrower and Benediction will like this confirmation a lot. 1914 published till now two albums and an EP. The big surprise is coming. Cause of our 10 years anniversary, we want to celebrate a big birthday party with you! With ' 10 Years Best of Dark Troll Festival ' we want to look back with you on the Fantastic Years and celebrate a great evening!!! Dark Troll stands for the passion for our music!!! The whole thing should take place on 26.10.2019 at the Wiesenhaus in Eisleben, you can take all the information of the first flyer. We just want to invite bands who have already played on the Dark Troll. Which bands would you wish for and do you like the flyer? Despite "sold out" we do not let ourselves get ruffed and bring one or the other more top-class band into the line-up. The next one will join us for the fourth time next year. But this time it will be a very special one as they bring their new album and celebrate their release show at Dark Troll Festival! The In Fiction Entertainment band Finsterforst were founded in 2004 and have been on the road to success ever since. In addition to several festivals and concerts, some European tours were already there. So far, they have released four albums and two EPs, but the fifth album will be released in Spring and will line up stylistically between the last two albums. We wish you all a great Yule-Time! Of course, we also want to announce as all past Sundays the next band. And it is is no stranger to us! Already in 2016 we were very happy to welcome the French band called HIMINBJORG and so we do it for our 10th years anniversay! The band was founded in 1996 and released seven albums, two demos and one EP! They also re-recorded their album "The Golden Age" and released it this year. 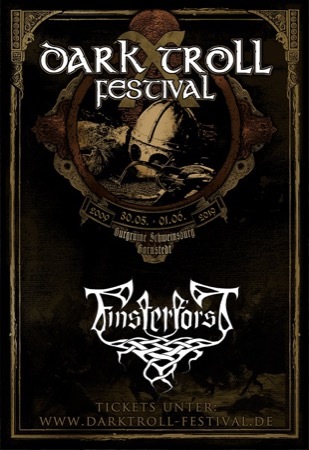 One of the few surviving Folk Metal bands from Germany and also a band of our Booking Roster, celebrates its 20th anniversary on our 10th anniversary. 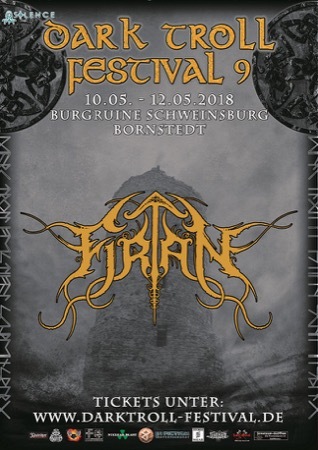 The Thuringian band has released four albums, played several concerts, festivals and tours and we are pleased that they enrich our festival again with their metal show. That can only be Odroerir! We have to announce that our weekend tickets are already sold out and that a half year in advance. We have just a few day tickets left at our In Fiction Entertainment Shop. You are the best and thank you!!! And here is the next treat. It is getting better and better. They are celebrating their second appearance in Germany at our old castle ruins, that will be mystical! The Israeli one-man project, originally from Lithuania, was founded in 2014 and has already released two albums and they are currently working on their third longplayer, scheduled for release in the first half of 2019. Cheer with us for Romuvos! After a break of two years, the Australian pirates of Lagerstein board the Schweinsburg again and try to take possession of it! Their amazing show and party at the Dark Troll Festival 2017 has inspired us and the majority of our audience so much that we can not resist inviting them to our anniversary celebration! Look forward to an energetic show that invites every Viking to join in ;-). 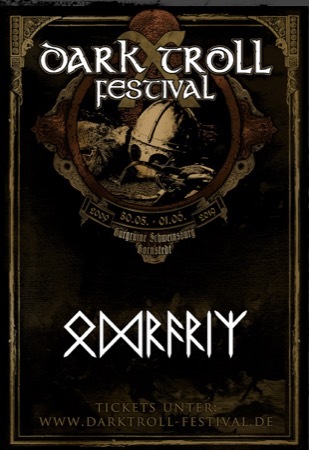 PS: DARK TROLL FESTIVAL - SOLD OUT! Last chance: We offer at 06th December 7p.m. the last cancelled tickets! Here is the promised second headliner! They do not play only the big stages of the world, but next year they are also at our 10th years anniversary! The two founders M. and Darkside started the project Mg?a in the year 2000. The Polish-based band has released three albums, three EPs and a split CD till now. We are very happy that after 3 years it finally worked out to get your and one of our biggest band wishes. What do you say? The true light is the music! 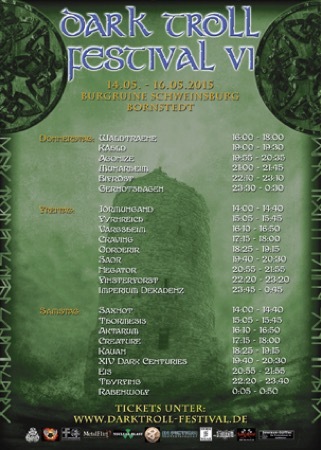 That is the program of the folk-metal band Vera Lux which was founded in 2013. The seven musicians from Nuremberg have made it their goal to bring their audience energetic songs and rousing live concerts. Drums, guitars and bass are the basis for hard, uncompromising riffs. These are refined by the melodies of various folk instruments, such as violin, bouzuki, bagpipes and hurdy gurdy to multi-faceted earwigs. The voice of frontwoman Inara and powerful backing vocals fit seamlessly into this varied soundscape. This allows the band to convey the messages of their texts that criticize society, encourage them, tell stories or invite them to celebrate the good in the world, to transport them directly to the heart of their listeners. After several concerts and an Eastern Europe tour in 2018, they are working on their long-awaited debut album next year. In addition, they are currently working on their first music video which will be released this winter. We will present this later to give you an even better impression of Vera Luxs rousing music. And here is the next highlight. It will be international again, one of their few Germany appearances in 2019 and their first in this country after two years! Founded in 2007, the Manchester-based Black Metal band can already look back on six great internationally acclaimed albums. We are looking forward to the great Winterfylleth! Here is the next band update. We are pleased to present the latest project from our Dutch friend Joris (Ex Heidevolk / Ex Wedergänger) named Nodfyr. 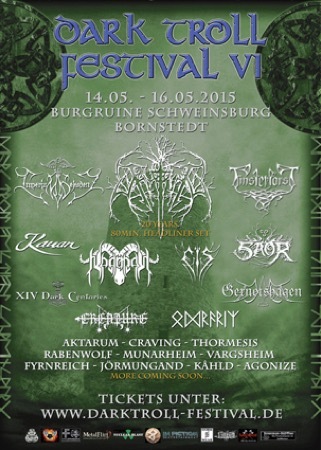 The band was founded in 2011 and had the idea to make Pagan / Folk Metal with lyrical themes about their home region. The songs are about the history, nature and legends of Gelderland, a region in the Netherlands. And it is their first live performance ever! They are back and celebrate their 25th anniversary! After a long break, KAMPFAR return stronger than ever to the battlefield. Their first Germany battle will be at our Schweinsburg. The time is ripe for a new era! The Norwegians have released a demo, two EPs and seven albums till now and we are more than happy to have them at our stage. We are really looking forward to finally having them at our festival next year. 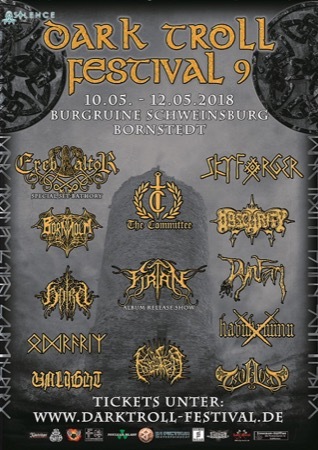 Ten bands have already been confirmed. Now comes band number Eleven and they come from our beautiful neighbor country Austria, to be more precise from Vienna. Founded in 2007, the band has released two albums and a split EP till now. Currently, the band attributed to the Barbaric Metal are working on their third album. 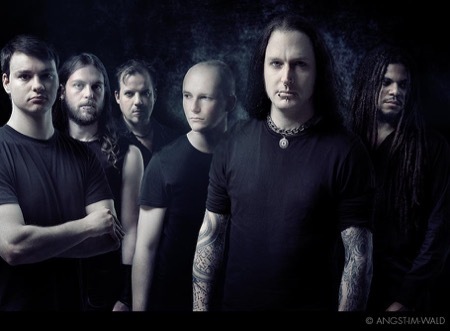 The music features elements of Old School Heavy, Thrash and Black Metal. We are happy to announce the next band! Sun Of The Sleepless is the solo project of Schwadorf (aka Markus Stock), the mastermind behind two of Prophecy Productions most popular acts, Empyrium and The Vision Bleak. The band creates poetic black metal dirges that twist with cold, raw atmospheres. 13 years after the last sign of life, Sun Of The Sleepless now rises from the tomb and delivers an amazing album with new material! On "To the Elements" Schwadorf creates pieces full of charisma and atmosphere. He builds on the foundations of previous releases of SoTS, but gives the matter a whole new level of intensity and inner glow. The album, described by its creator as "a punch in the face of a shallow world", contains icy Black Metal with fateful aura, where poetic lyrics are inspired by the great romantic poets of the last centuries provide the only hint of warmth. 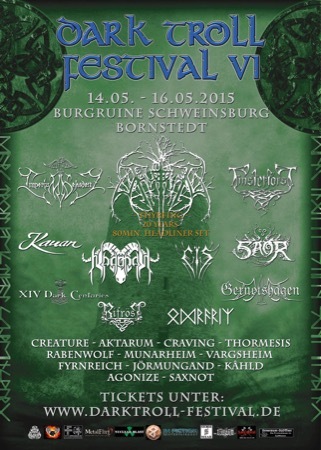 Of course we also have some more Pagan and Folk Metal Bands to reveal. That is exactly what the next band is playing. In fact, they are one of the first bands in Ireland dedicated to this genre. The sextet was founded in 1993 and they released two demos and four albums till now. The band is currently in the studio and plans to release their fifth longplayer in February. Of course, we are talking about the veterans of Waylander! Zum einen gibt es die nächste Band für unser Jubiläum. Zum anderen schließt sich die Band auch unserem Booking Roster von In Fiction Entertainment an. Bei Bookinganfragen schickt uns doch eine private Nachricht über facebook oder eine E-Mail an Today we have two great news. First, there is the next band for our anniversary. On the other hand, the band also joins our booking roster of In Fiction Entertainment. If you are interested to book them send us a private message via facebook or an e-mail to tmoor@in-fiction.eu. The Bavarian band was founded in 2005 and has released four albums, a demo and a split CD so far. All the recordings have received great reviews, after a lot of played club shows, festivals and tours it was just a matter of time till they come to Dark Troll. 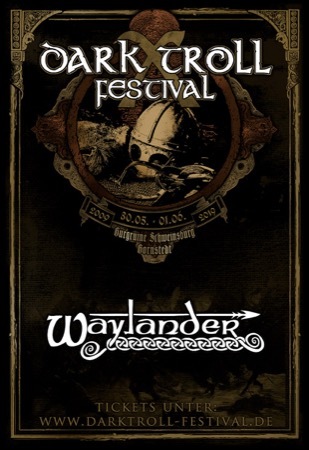 I hope you are as happy as we are about Waldgeflüster! Today we announce band number seven and surprisingly it is just the second band, which comes from Germany. More precisely, they come from the Dresden area. The Black / Doom Metal Band was founded in 2014 and they released a demo and an album called "Shadows of Doubt". The bands shows are characterized by a unique blend of sinister Black Metal and the fragile melancholy of Doom Metal. Spherical guitar riffs merged with vigorous and haunting vocals unleash a musical landscape which describes ones journey into the pale depths of the human self. We are happy to announce Ad Cinerem! we are happy to announce band number six! There is much to say, for example that the band does not come from Europe but from South America. More precisely from the Chilean capital Santiago. That means all six announced bands come from another country. In addition, most people probably know our tradition of having at least one band each year that plays in Germany for the first time, because that is exactly what this band does. Their music is a mixture of powerful yet melancholic melodies full of emotion, which brings together the sound of the classics of the genre with the vibe of modern innovators to create an atmosphere capable of moving the toughest metal enthusiasts. The 2013 founded band release one EP and an album called "Unfading Incorporeal Vacuum" till now. Hope you will enjoy Sol Sistere as much as we do! The band was founded in 2006 and comes from our beautiful neighboring country Poland! Till now, a demo, an EP and an album called "Twilight of Blood and Flesh" have been released. After several played concerts and festivals all over Europe, they are presenting their new album, which will be released autumn 2018. 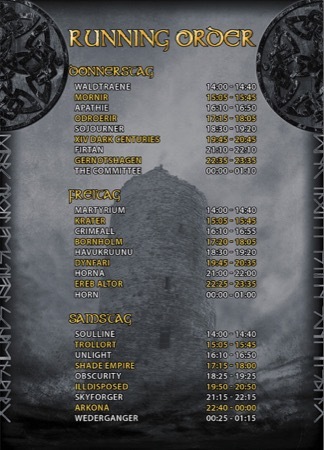 Look forward to Polands "Amon Amarth" Valkenrag! The third band joining our anniversary show is not unknown to us, after all, they played their first German gig and their second live show ever at Dark Troll in 2015! Since then the band has been raising to the top and they play concerts all over Europe, so we are happy to welcome them back to us. Most people will probably already know which band we are talking about, it is none other than the mighty Caledonian Metal band Saor! you had to wait long time, but we are working hard on the anniversary show :). For this reason we would like to present you band number 2 in the line up. You have ask for this band several times in the past years next year they finally come and conquer the Schweinsburg. With this swedish sextet it becomes much more folky and also some ancient instruments find their place in the music. The band Fejd was founded in 2001 and they have released four albums till now, while the current one is appropriately called "Trolldom! What was that for a great Dark Troll Festival?! The most beautiful festival in the world! The best fans in the world! The best crew in the world! Absolutely cool bands and great performances! Sold out in all areas. Odin gave us pure sunshine despite bad weather forecasts. Many familiar faces, but also some new ones every year it feels like a big family reunion where everyone enjoys the time together. Thank you to everyone who was involved into this amazing fest! We hope you are all as happy as we are m/. What did you like and what should we do better next year? Everyone who joined us this year have probably already seen it in our program. Next year: 10th years anniversary! New design! First highlight! 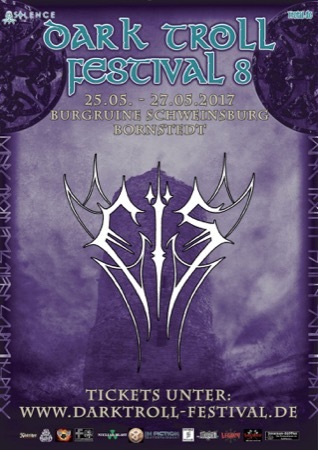 The Atmospheric Black Metal band Enisum comes back to the castle and they bring a new album with them. We are looking forward to it. Keep an eye at our homepage and facebook page for more surprises and highlights. 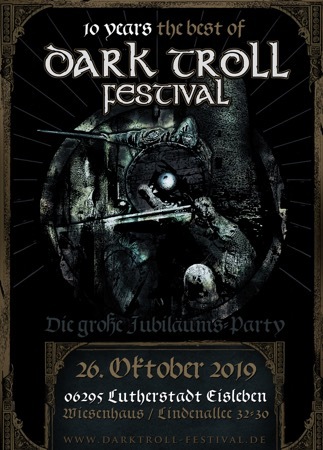 Unfortunately, it took a little bit longer this year, but now our ticket presale for the Dark Troll Festival 2019 starts on Thursday at 7p.m! Many preparations and discussions had to be conducted because we were not completely satisfied with our organization this year. 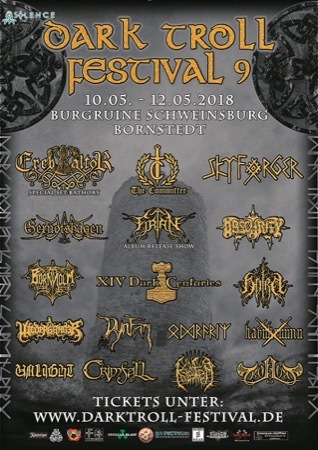 Since the Dark Troll Festival 2019 is now in its tenth round, we also have a big birthday to celebrate, and will serve some very special musical delights in 2019. First, we can not keep the price of the last years for a 3-day-festival anymore and therefore have to high-up the ticket prices, because we were presented with enormous extra costs this year and we will definitely need to solve the situations of toilets, garbage and parking in the coming year. In addition, a few bands will be added to the anniversary which will blow up the frame financially. The other worse (or good) news is that we will not be offering box office for the coming year. But there are daily tickets at our shop valid on the day they are redeemed. For now, tickets will only be available directly in our shop shop.in-fiction.eu and via Nuclear Blast. The presale of Ticketsscript does not exist anymore and we are in negotiation with Eventim. If you would like to get some Festival Merch of the last few years, you should take the chance. Until July, we will give up to 50% off all Dark Troll Festival accessories. We point out that parking in the forest or the forest paths is strictly forbidden. We ask you to use the parking spaces provided by us in the municipality of Bornstedt. Escape routes for vehicles of the fire brigade, ambulance and ambulance must be kept free. If this is not guaranteed, we must immediately and at the expense of the causer to tow the obstructing vehicles! The same applies to the direct access roads to the festival area (castle) and the VIP area! From this year we have got a third campsite C, which makes the whole thing a little more relaxed and a little more comfortable for everyone. For those who have a ticket for campsite A, you can exchange it at any campsite. Guests with the Camping B or C - Ticket, can only choose campsite B or C optional. A return exchange or refund is generally not possible! Breakfast for the guests of camp A will be served from 8:30 am to 11:30 am directly at the sport club. For campers of places B and C, breakfast will be available as well at the gym (camping B). Motorhomes and caravans can only be parked on campsite B and here it should be noted that one ticket per head is needed. Tickets from previous years are not valid! Hey everyone, we have good news for you. After much back and forth we could organize together with the city of Bornstedt a third campsite (Camp C) for you! So everyone who is still without camping ticket should find a place now. You can buy the ticket at our In Fiction Entertainment Shop. Today we can confirm the last band and it is a very special one! The international band with members from New Zealand, Sweden and Italy was founded in 2015. Two incredible great albums have been released so far, the current one is called "The Shadowed Road" and was released just ten days ago. Their atmospheric Black Metal with big folk influences is strongly influenced by the homeland New Zealand where the two founding members Mike & Chloe come from. We are so happy that Sojourner are celebrating their first Germany appearance and second gig ever! Also this year there will be a limited contingent of daily tickets! 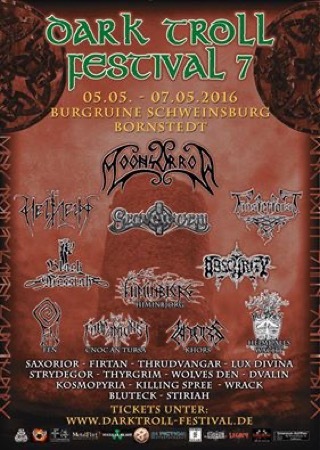 We want to introduce you to a Pagan Metal combo that will play this year. The Bavarian Pagan Metal combo Mornir was found in 2011. Musically they combine elements of pagan, folk, death and black metal, without limiting themselves to a particular subgenre. At the beginning of 2013 they released their first demo and in May 2015 their first EP was released under the title "Entfesselt". 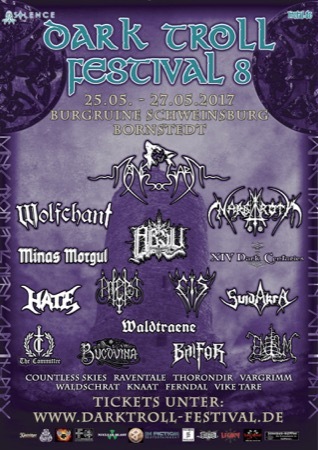 We are working hard on the final preparations, but we would like to introduce to you another Black Metal combo that will play this year. 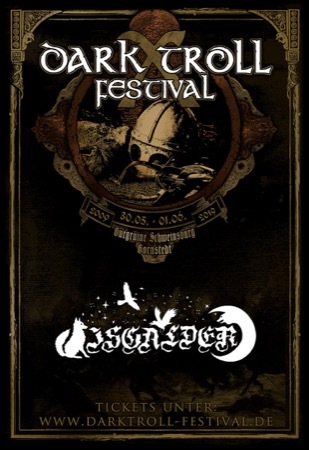 The band come from Saxony and was founded in 2009 and it is the Black Metal combo Apathie. In 2010, the demo "Heimat: Einoede" was released, followed by the first longplayer "Trugbilder Einer Erinnerung", which was released in 2012. The chosen path of excessive black metal was continued more aggressively and intensively than before. The current manifesto "Incendium Excitare" was released at the end of 2015 and praises a sinister symbiosis of raw, cold and atmospheric elements. Thank you to everyone for a third time in a row sold out! Slowly the line up completes and today we continue with band number 24 in our line up. 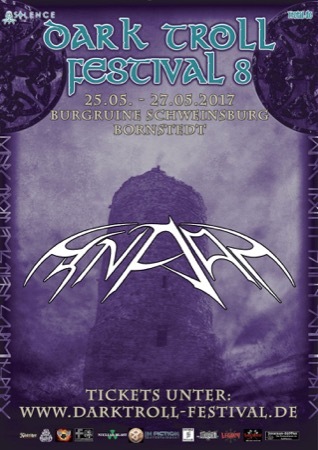 The Swiss band is active since the year 2000 and presented their melodic death metal on more than 200 gigs. They have released four albums and two demos in that time and the fifth album will be released this spring. We look forward to Soulline! Today we can confirm what has already proven itself over the last three years. The dynamic duo of Waldtraene will open the festival for the 4th time in a row. We just can not imagine a better opener and we hope you see it the same way m/. There are a few bands left before the line up is complete. Todays band is already active since 1999 and currently enjoys a lot of attention in the black metal scene cause of their aggressive music and captivating performance full of brutality and despair. 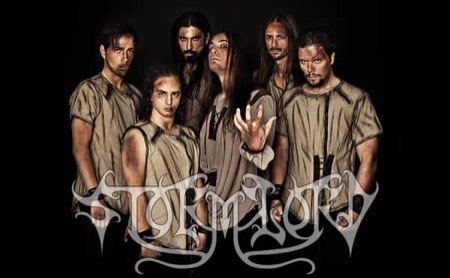 The band from Malta has released four albums till now and is called MartYriuM! We hope you have a great time with your family and your beloved ones, but now it os finally time and we do not want to torture you any longer and present the headliner for 2018! Unmistakable thanks to their unique style and the truly extraordinary voice of front woman Masha. The lyrics are about old Slavic stories, myths, legends and are mainly written in Russian and Slavic! The Moscow band was founded in 2002 and has released eight albums and two live albums till now, meanwhile the ninth one called "Khram" is coming soon and will be released on January 19th. 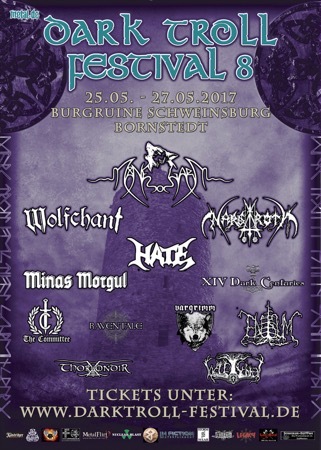 Toured all over the world, it was only a matter of time until they finally come to the Dark Troll Festival (except Black Troll ;-P). We are looking forward to Arkona. There is no new band today, but we can announce a special show. Odroerir will play their acoustic set for the very first time at a festival! As we already said last week, today there is a decent portion of Black Metal and an extremely rare performance! We do not want to lose so many words. Founded in 1993, the Finnish band, then known under a different name, has already released nine albums, several splits, EPs and live albums and is an absolute live beast! The lyrics are mostly about Satanism, paganism, occultism, evil and darkness. Their name means "abyss" or "hell". 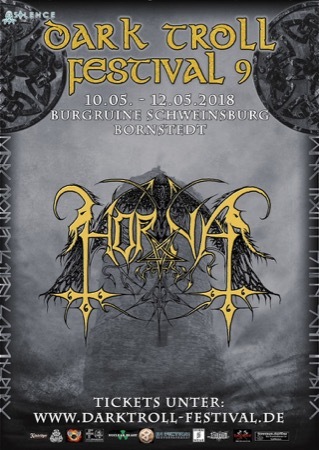 We are really looking forward to Horna! Today we reveal another Death Metal Band, but this time it is a bit more melodic! 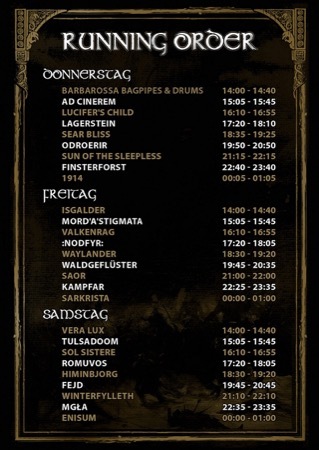 Do not worry there will be some Black Metal next week ;). 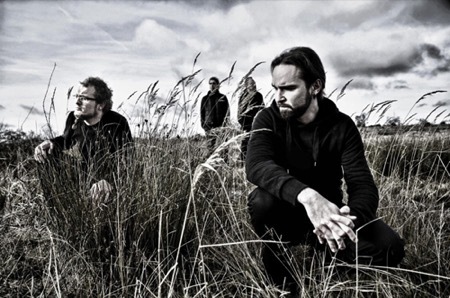 The six Finns founded the band in 1999 and released three demos and five albums, while the last one was released in June of this year and is called "Poetry of the Ill-Minded". After many European tours, they finally visit our old castle ruin! Today we can present to you another highlight who has accompanied us since our youth. Since the 90s, they conquer the stages of the world with their brutal Death Metal. Tours around the world, charts in their homeland Denmark, soundtrack of a classic movie and thirteen albums speak for themselves! Look forward to one of the best live death metal bands Illdisposed! What should we write about the next band? 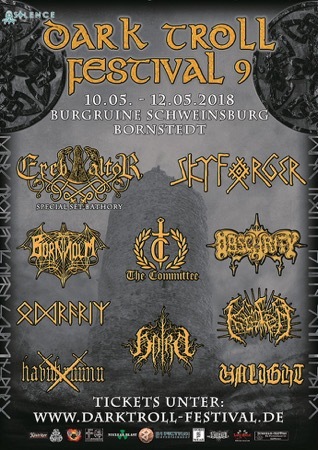 They are a fix part of the German pagan scene for almost 18 years. They can not be assigned to a typical metal genre. It is a musically experimental mix of the most diverse areas of metal with influences from classical music, folk and coupled with a lot of melody. An atmospheric composition through the vocals, which completes the overall picture with overwhelming clean passages in alternation with aggressive growls. You simply can not compare them to any other band because they have a completely different style that does not yet exist in this form. After a longer break after the last album „Weltenbrand – Die Banner hoch der Nacht entgegen" they are back in full swing for the next album. We are very glad that Gernotshagen enriches us again! 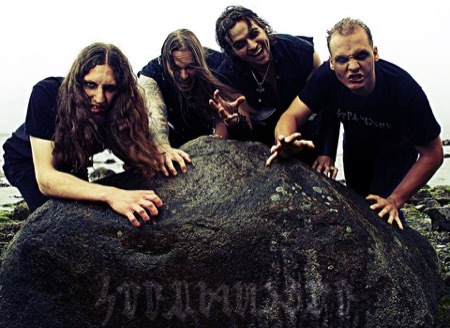 WEDERGANGER from the Dutch province of Gelderland stands for Undeath Metal dealing with the darker sides of local folklore and Germanic mythology. 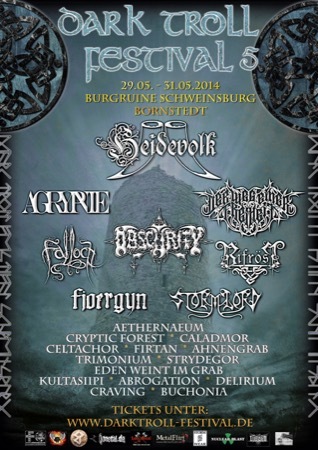 Formed in 2013 by entities who draw strong inspiration from the gloomy history of their region, Wederganger ("Revenant") consists of a core of three founding members and several session members. Lyrics are inspired by Indo-European eschatology and Gueldrian tales dealing with spirits, undeath and horror. Wedergangers musical style can be described as traditional black metal interwoven with dissonance, and is characterized by the use of both screams and chants. The atmosphere during live manifestations ranges from meditative to possessed. 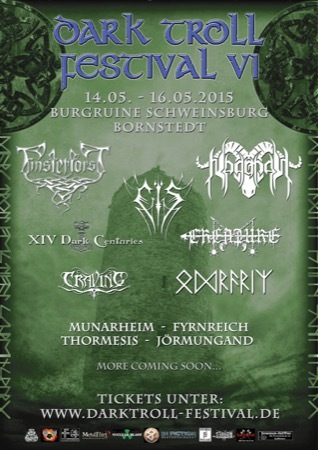 We can confirm another In Fiction Entertainment Roster Band for the Dark Troll Festival! 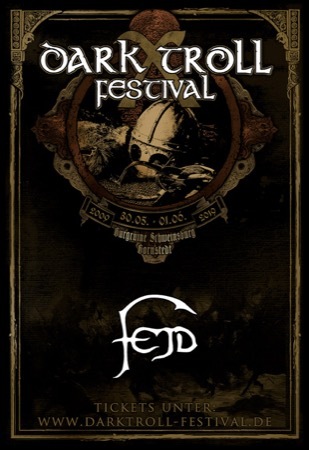 After some line-up changes and longer break they come back with the original line-up from the year 2003 where they also released their first album. At the moment they are working on their fourth album and will surely be able to present one or the other surprise for us. They come from the beautiful Thuringia and their last album is called "Gizit dar Faida". Welcome the Pagan ancestors of XIV Dark Centuries! Yes? We also do, that is why we thought to invite a second finnish band next to Havukruunu. The band was founded in 2007 in the beautiful city of Helsinki and was already internationally known for their unique style and amazing two albums. After a short break from 2015 to 2016, they made a great "comeback" with a new record label, booking label and a new album called "Amain", which brought them even more attention. Their style is difficult to describe in words. They describe it as this: "We have always had some hard time coming up with good descriptions or genre definitions. It is definitely symphonic and visual, music of extreme contrasts, soundtrack for feats epic and deeds whispered in shadows. Combining beauty with brutality. Lot of layers but always with a destination." We are very happy about: Crimfall! The next band has already been twice to us, and has planned something very special for next year. They will present their long-awaited second album at the Dark Troll! 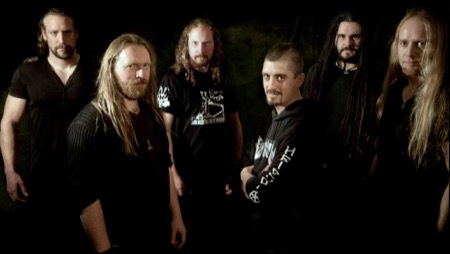 Since 2010 they deliver their own mix of extreme metal genres and atmospheric sounds. After numerous European concerts, the band from Southern Germany was able to make a name in the scene and convinced live through their intense shows. Their music has its roots in Black Metal, which is refined with atmospheric and progressive elements, as well as orchestral accents. 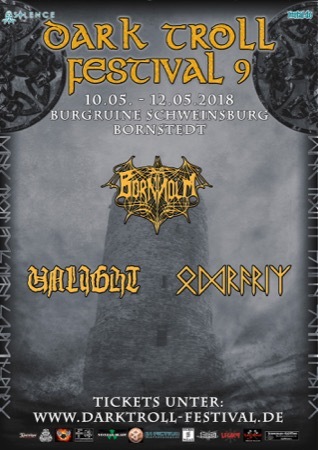 After playing big shows like Summer Breeze and Metaldays, they will celebrate their album release show in 2018 at Dark Troll, which will make this Show very special! It is non other than the mighty Firtan! We are looking forward to reveal the next band at the same time as always! 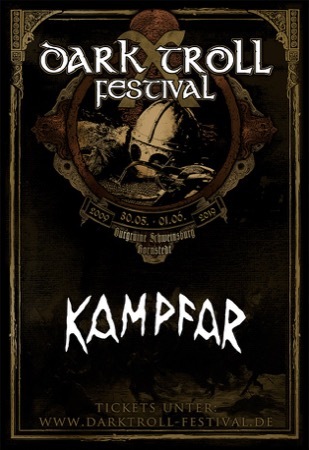 The band comes from the far north, from a country which was never represented at Dark Troll. In addition to Havukruunu, this band also celebrates their first appearance in Germany - they have rarely been on the European mainland. Do not miss it! Back to the band. They founded in 2010 in the fantastic Reykjavik. Four albums were released during this time, while the current one, "The Four Doors of the Mind", was released this April. 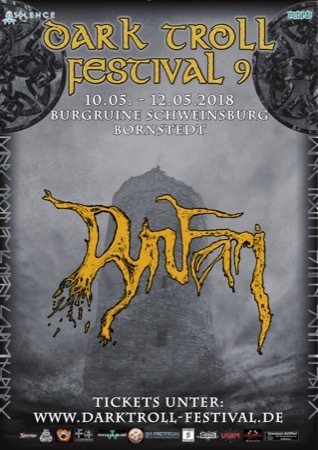 Dynfari will put us into another world with their wonderful Atmospheric Black Metal! What fits better for Dark Troll Festival than a horde of instrument playing trolls? Right, not much! That is why we are very pleased to welcome the in 2011 founded Band Trollort. The band from the french part of Switzerland has released two albums and a demo so far. German Black Metal as its best! They was founded in 2003, with the vision of creating extreme Black Metal. The band describes their style as Furious Black Metal. In that time they have released three albums, two splits and two demos. With their second album, "NOCEBO", the band received an overwhelming response from the press and the ever-growing horde of fans. "NOCEBO" surprised most critics because of their extreme and fast sound. It is followed by many concerts, festivals and tours through Europe. In 2016, they released their current album "URERE", which was once again very popular with national and international critics. With "URERE" they have been able to perfect their extreme style between Black and Death Metal. Its none other than KRATER from Saxony! 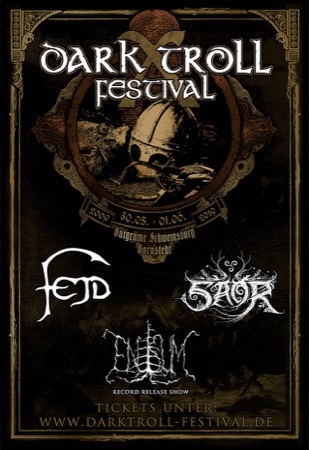 Die schon seit 22 Jahren aktive Band hat insgesamt 6 Alben veröffentlicht, wobei das letzte names "Senpr?sija /Old Prussia" im Jahr 2015 veröffentlicht wurde The Latvian Band Skyforger will conquer finally the Schweinsburg in 2018. The band, which is already active since 22 years, has released a 6 albums, the last name "Senpr?sija / Old Prussia" was released in 2015 and promoted by numerous international concerts and festivals. So it was only a matter of time before they come and conquer the castle ruin! As most of you know, we book every year at least one band, who celebrate their first gig in Germany ever! For example, 2013 Lux Divina (ES), 2014 Caladmor (CH), 2014 Celtachor (IRL), 2014 Falloch (UK), 2015 Saor (UK), 2015 Kauan (UA), 2016 Cnoc An Tursa (UK), 2016 Himinbjorg (FR), 2016 Khors (UA), 2017 Balfor (UA) and 2017 Raventale (UA). This is also planned for 2018, so we have book the Finnish Pagan Black Metal band Havukruunu for an exclusive Germany gig! Two demos, one EP and two albums have been released till now and were rated highly by the press and fans. Yes, it is true, it is damn true! The Bergisch Lions Obscurity are coming again in 2018 to destroy the stage for the third time in Dark Troll history. Because of the time delay this year and the premature end of the show by The Committee they could not give their entire show to their best. Classics like "Man of Steel" and "Katherines Chant" could unfortunately not be played. For this reason, we are not lazy and want to offer you a show without shortening in 2018 and have booked them again! We are very happy to announce one of the highlights for next years edition of Dark Troll. Ereb Altor will burn the stage with a special 70-minute Bathory Show!!! The secret heirs of Bathory have published seven albums since their founding in 2003. We looking forward after a short summer break to present another band to you. 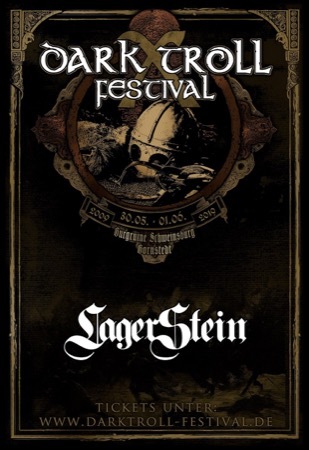 After 10 years they are finally back in East Germany and that with their very first open air show! It is the one-man project of Nerrath, which was founded in Paderborn (North-Rhine-Westphalia) in 2007. 7 albums have been released till now, while the current one was released in January of this year and is called "Turm am Hang". It is none other than Horn! But first of all many thanks to all the people who were involved. Thanks to the best crew in the world, who once again ensured such a smooth process and found solutions so quickly even in sometimes difficult situations. Thank you to all the great bands, which heated all of us up and provided the right atmosphere.Thanks to Security, who once again did a great job. Thanks to the Ambulance men an women, who have take care of the minor or major bruises. Thanks to the mayor and the residents of Bornstedt, who make all this possible. Thanks to all photographers and the press for the great pictures and articles. 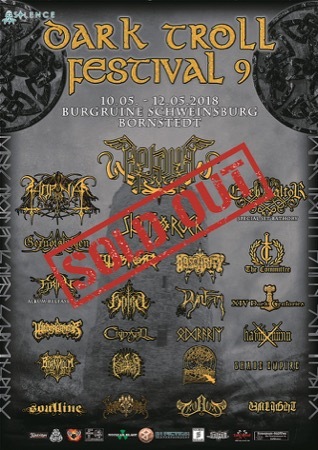 And of course, thank you to all the fans who have made sure that we were completely sold out, made this festival once again unforgettable and give us the chance that we can continue next year at the same time and the same place with the 9th edition of the Dark Troll Festival! And the first new flyer! Just around one month till the biggest party of the year. That is why we thought you would like to see the Running Order. We are looking forward to announce the final band that completes our line up. It do not need many words, because they have already heated us up in 2015. 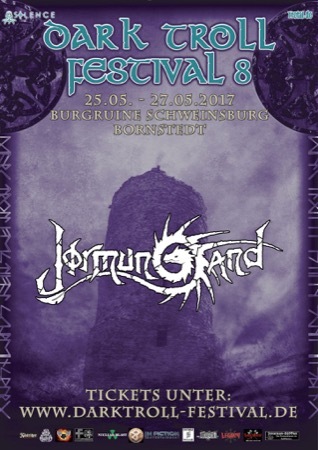 We are looking forward to the Cologne Pagan Metallers of Jörmungand, which will present a completely new live show and some new songs from their upcoming album. As promised today we reveal the second last band of our line up. It is the latest project of Mastermind Tuomas Saukkonen, which he founded in the year 2013. They have release three albums till now and the latest album "Tyhjyys" just came out one month ago. We are very happy to announce WOLFHEART as one of the replacements of XIV Dark Centuries. 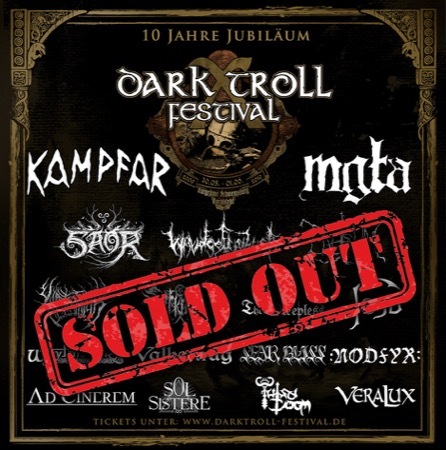 Dark Troll festival is officially sold out! It will give a little contingent of daily tickets. XIV Dark Centuries had to cancel their appearance due personal reasons. We already work at the replacement. Good evening Metalheads! There are still a few tickets left at Nuclear Blast and Ticketscript! And not only that, because the campsite is limited, we want to offer you from now on campingtickets for a second campground. You can find them in the In Fiction shop. It is not far away in the village of Bornstedt below the castle and it also has its own showers! Listen to us dear trolls! There are some pirates who travel from far away to conquer our castle! They probably heard of our liquid gold and now they want to take it. Help us prevent this! But there are just a few tickets left to participate in this battle. Whoever wants to defend the castle with us should be fast! We have got some more information about these pirates. They travel from faraway Brisbane (Australia) on their ship, the S.S. Plunderberg. They already released two well-acclaimed albums, while the latest one is called "All for Rum & Rum for All". What do you think?... Can we defend our castle against them? Or will pirates and trolls get on well and come together for a barbaric booze-up? We are already very excited about the new project of Alboîn and Abarus from Eïs. They are currently in the studio to record their debut album, which will have the same name as the band itself. Then in April it will be released via our friends of Einheit Produktionen. Listen and marvel at the mix between Black Metal and classical music, which will be presented by Ferndal. We are looking forward to announce another band. It is a very young band from the area of Munich, which definitely can convince with a huge portion of Pagan Metal. They are founded in 2009 and published their debut album "Die Lichtung" in 2012. They are currently working on their upcoming album, which makes them very busy. That is why we are really happy that they will play one of their few shows in 2017 at Dark Troll Festival. We hope you are as much happy as we are about the announcement of Knaat! Many of you had already ask for it and now they are finally arrived. The tickets for the legendary Dark Troll Pre-Event are available at our In Fiction Shop! Now it is not so long anymore until the 8th edition of Dark Troll finally begin. The line up is nearly complete but, today we want to present to you another band from our In Fiction Entertainment Roster! After a devastated lineup change, they are now complete again and stronger than ever! From 2005 to 2010 known under another name (3 albums were released during this time), they have released after renaming in 2010 four incredible albums! 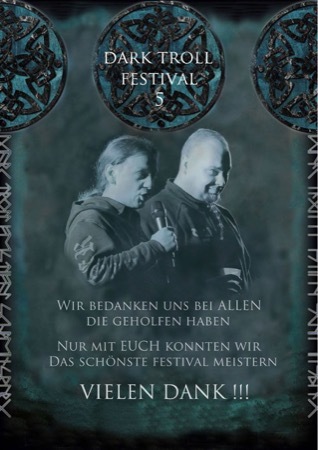 The latest album of the Northrhine Westfalian band has been released at the end of 2015 and is called "Bannstein". We are looking forward to present to you Eïs! We also have a Christmas present for you! We are so delighted that they will open the Dark Troll spectacle, also because they will bring a new album with them, in which we can once again dive into the wonderful pagan song art which they present in an absolutely magnificent way. This unique duo from the Harz has already proof the last two years which great atmosphere they can provide and that they are simply perfect for open a festival like ours! We had no other chance than invite Waldtraene again! 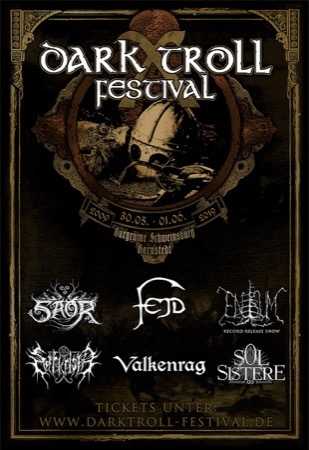 We still got some great bands to announce for the upcoming Dark Troll Festival! We want to confirm the next one right now. With 22 years of musical career, this band from North Rhine-Westphalia definitely belong to the great veterans and co-founders of the German celtic metal scene. The gigs all over the world as well as 12 amazing and well-acclaimed albums say it all... That is why it was only a matter of time before we can finally welcome them to the Dark Troll Festival. 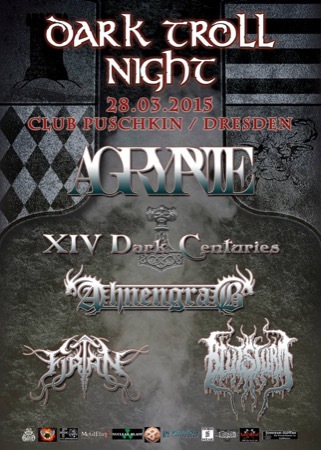 We are very happy to confirm another band for our Dark Troll Night in Berlin and Dresden! The 2014 founded Black / Doom Metal project has released its first longplayer "Shadows of Doubt" this year. Please welcome Ad Cinerem from Dresden! We are very happy to announce the next band. After 10 years of break from the live shows, they are back on stage for the first time and they will celebrate it at our wonderful castle! They come from the beautiful North sea, more precisely from Wilhelmshaven. Their origin is also reflected in the lyrics, which are still quite unique. This definitely makes them a very special pagan black metal band. They were founded in 2003. During this time, they have released one demo, two studio albums, one live album and two split CDs. We are talking about the northmen of Vike Tare! We have a special band for you today. Based in Texas, USA, the band was founded in 1989. They went through changes in their name and since 2007, the band has been active with the current name. Their style can be mostly categorized as black/thrash metal. We are very happy to have a band coming from the overseas! Six albums, several compilations and split CDs were released during the time. The current album is called "Abzu". It is none other than the mighty Absu! Till now the Barbaric Black Metal combo from Kiev released two albums, but just a few details are missing until then on the 15th January 2017 the third album "Black Serpent Rising" can be released! 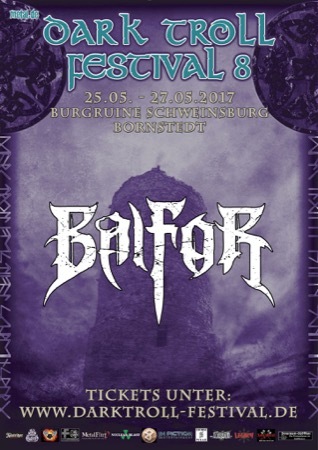 After two big tours and some festival appearances, we are very happy to bring BALFOR finally back to Germany. We are very pleased to announce another firework! Everyone who follow us during the last years know that around one month before Dark Troll Festival we celebrate a big pre-event the so called Dark Troll Night. Also in 2017 we want to continue with it. We hope to see many of you guys there! Here the flyer including both dates and the first three confirmed bands! We would be happy if you would share the flyer and tell your friends about it! It is always like a birthday; just even nicer. We can announce another great band. 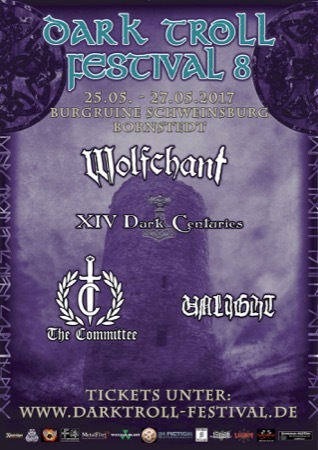 Just like Raventale, they will celebrate their Germany debut at Dark Troll Festival as well. They are already looking forward to it and also we can not wait for the band. 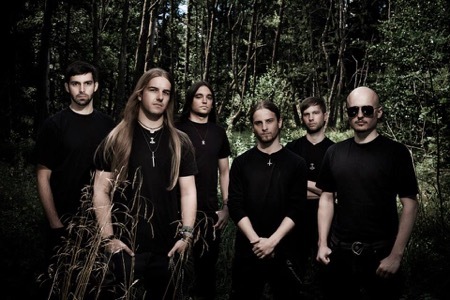 Based in the UK, their debut album "New Dawn" is hit like a bomb and they are already being compared with the great "Insomnium". It is none other than Countless Skies. What do you think? Any parallels there? 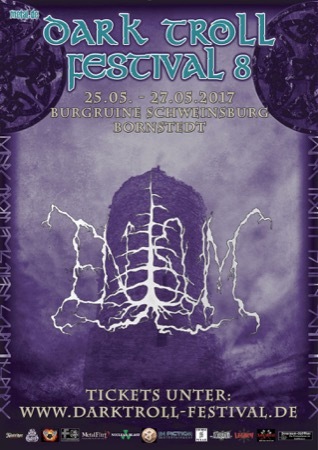 We are very happy to reveal another international highlight for Dark Troll Festival 2017! They come from Brittany (celtic region of western France) and was formed as one-man-band by Loïc CELLIER in 1995. Influenced by the early Black metal scene, the music of them always, was and remains a mix of Black metal (fast and dark) and Pagan metal (dark and slow parts with choirs). Do not expect heavy / folk touches! After 3 demo tapes and 6 studio albums (last one is called "Kornog") they are proud to finally be back in Germany for the second time (first time was our magnificent Fimbul Festival 2012). It is none other than the mighty Belenos (the Celtic god of the sun)! Same time, same place. It is time again that we present to you the next top-class band. 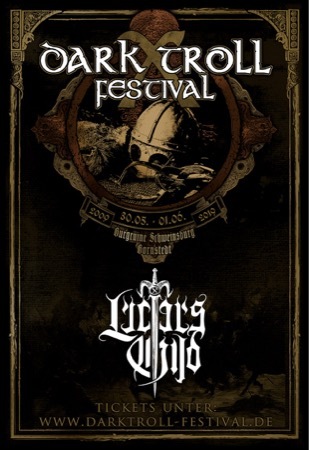 This band is a real jewel, because it will be their first gig after Wacken 2011 in Germany. One of the most prestigious bands of their home country Romania. The mixture of folk, heavy and black metal creates a unique sound that we are already looking forward it. In 2000 this band was founded in Ia?i and released till now three full-lenght studio albums. The current album is named "Nestr?mutat". At the moment they are working on the fourth album; it is the mighty Bucovina! 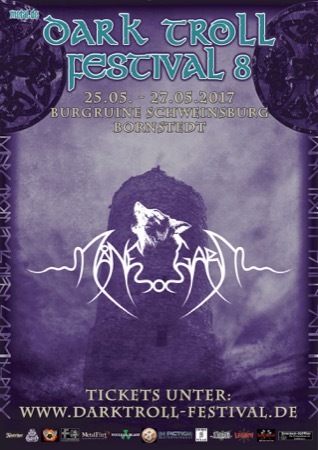 We are very happy to present you another highlight for the Dark Troll Festival 2017! Since already 20 years they have been traveling all over the world and during all this time they released six studio albums, two live albums, several EPs and various other releases, which make them definitely a true black metal scene size. The current album is called "Jahreszeiten". Probably it is already clear to everyone. It is non other than the mighty Nargaroth! After one year break, we are glad to present to you finally again a band of our neighbor country Austria. 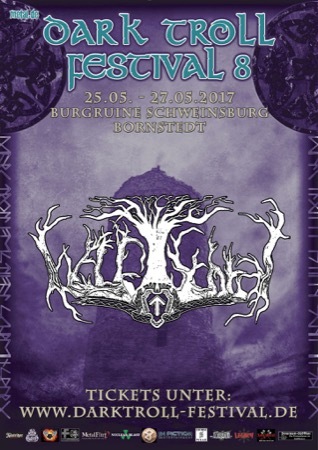 A well known band which many of you have wished for, we are very happy to announce the Black Metal / Neofolk Combo Waldschrat. The work on the second album "Metropolis wird fallen", which they will proudly present at Dark Troll Festival is in full swing and we are looking forward very much to it. We are glad to let free the next beast! It does not need so many words, because this band is a true greatness! 26 unbelievable years ago this band was founded under the name "Infected" in Warsaw (PL). Just a year later, they renamed themselves and carry this name till today! Nine studio albums were released during this time, while the current one is called "Crusade: Zero". 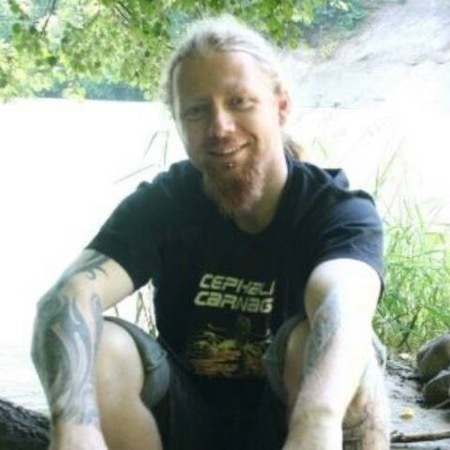 At the moment they are recording their 10th album under the name "Tremendum". We are very happy to present you HATE! Today we serve to you Pagan Metal as its finest with its typical growls, spiced with a good pinch of folk metal, which can be found in both singing and instrumental. Therefore the harmonious folk sounds of the keyboard fits perfectly to the rest. Next year, the band will celebrate their 10th anniversary. Currently they are in the studio to record their third album. We are looking forward to non other than THORONDIR from Bavaria! 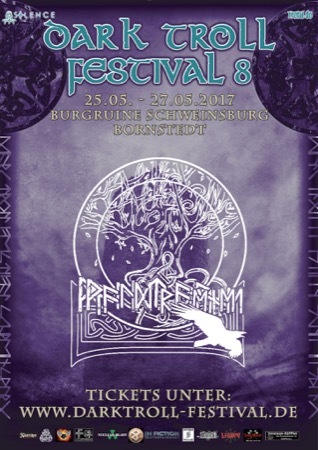 We are very pleased to confirm for the Dark Troll 2017 one of the big Pagan/Viking Metal Pioneers. It was just a matter of time until they come and conquer the old castle ruin. *drumroll* it is none other than the mighty Månegarm! The Swedish Band is founded in 1995 and have released 8 full-length albums during that time, the current one is called "Månegarm". During this year the first 6 albums were re-released, that is why they will come to us with a great 80 minutes set and some "special songs"! Unfortunately we have some bad news. 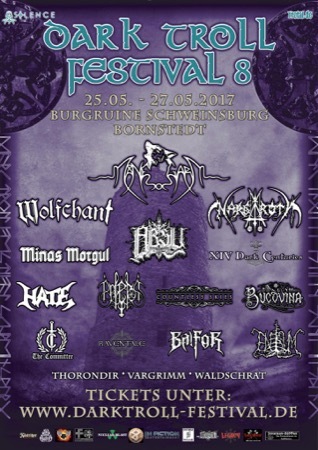 The band UNLIGHT will not be able to play the Dark Troll 2017 edition, due to a scheduling conflict. Anyway they will participate at the 2018 edition. As a small compensation we want to present to you this sunday the first headliner of 2017! After so many positive comments of our last week confirmation band Raventale, we now want to continue at the national level. 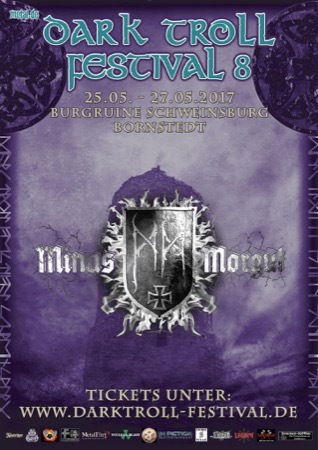 We do not need to think long time for know which national scene size since the Dark Troll Festival exist is still missing at our line up: So we are glad to welcome Minas Morgul to the 2017 line up. The band was founded back in 1997. 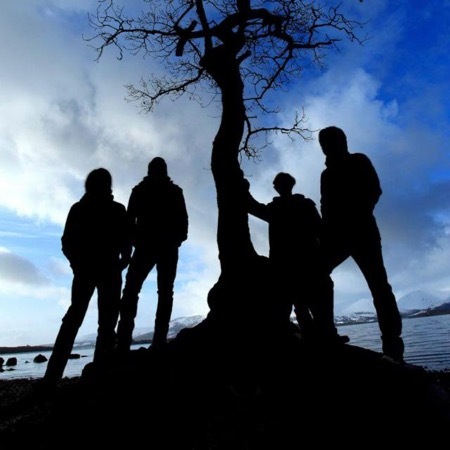 They come from Frankfurt Oder and have published 5 albums so far, the current one is called "Ära". The band has a fix place in the German pagan black metal scene that is why it was just a question of time till the offical announcement. although some of you named several bands on facebook the correct one was not mentioned by anyone. In our opinion this band is a real gem and that is why more of you should know this band. 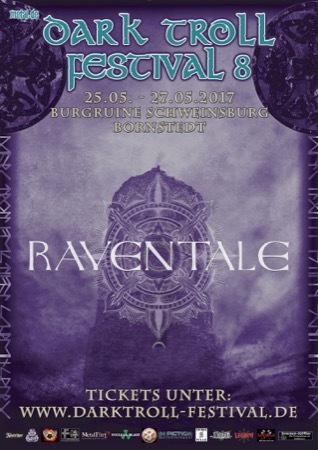 So we are glad to confirm Raventale from Ukraine for their first Germany concert! Seven albums have been released since the founding in 2005. The latest album is called "Dark Substance of Dharma"
We are happy to reveal to you Vargrimm! 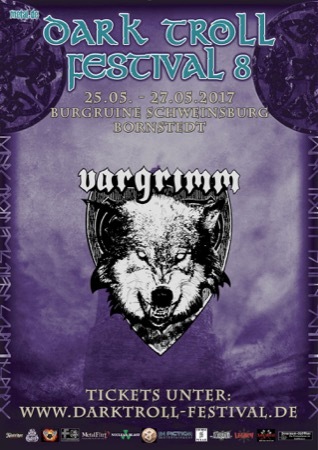 Vargrimm was founded by Kleini (guitar, clean vocals), Kai (shouting), Pascal (drums) and Patrick (former guitarist) in January 2008. Christopher as bassist joined the band in May 2008. All members used to play in other bands before. In October 2008 they recorded promo versions of three songs which helped them to find a record label. Their debut album "Des Wolfes Zorn" was recorded from January to April 2010 and was finally released in July. Afterwards they played various concerts in whole Germany. In October 2013 Patrick left the band and Christopher took over Patricks part as guitarist. Being only four they began recording their second album "Vom Wolf unter Schafen" in January 2014. This album was released in May 2014 and they were also lucky to find a new bassist, Paul. Complete again, they restarted playing diverse concerts. Currently they are writing songs for the third album. In October 2008 they recorded promo versions of three songs which helped them to find a record label. 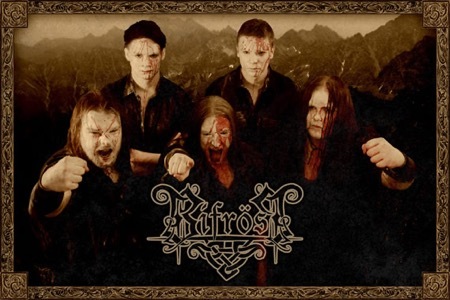 They decided in favour of Asatru Klangwerke with whom they concluded a contract for two albums. We are very happy to announce Enisum! 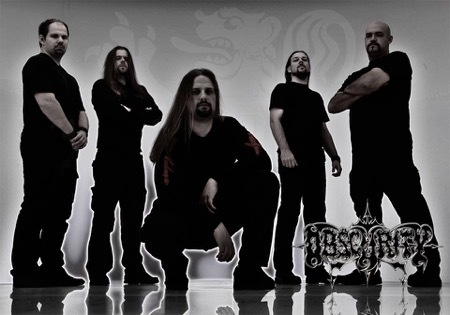 Enisum was born as one man band and founded by Lys in 2006. It is the first Arpitanian black metal band from Valle di Susa e Val di Lanzo lands. The projects name comes from Musinè mountain in Val di Susa. 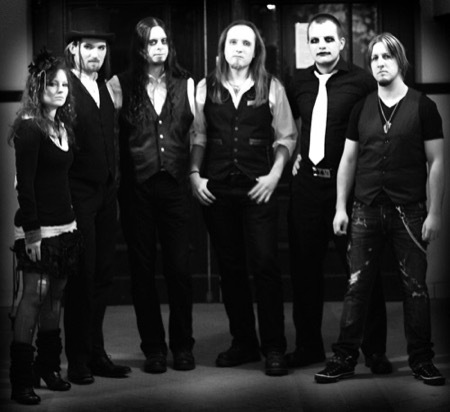 After some self released and demo productions Enisum became a band in 2014 with insert of Leynir (Bass), Dead Soul (Drum) and Epheliin (Female voice). Enisum music talks about land- scapes, cohabitation between man and nature and depression, pain, melancholy. During this time they released 4 albums, while the actual one is called "Arpitanian Lands". We can not stand anymore the fact that we had already announced two pagan bands but only one from the Black Metal genre, so we thought that should be changed fast. 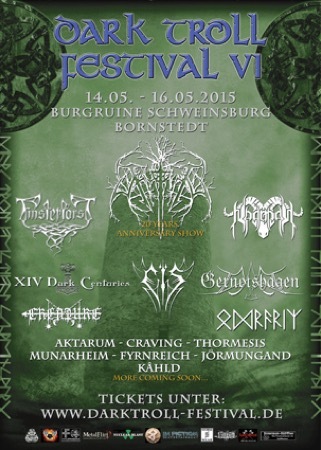 We are very pleased to welcome another band of our Fiction Entertainment roster for play at the Dark Troll Festival. Next year this band will celebrate their 20th anniversary, during this time they have published 6 albums. Their current album is "The Katalyst of the catharsis". Currently they are working hard on their seventh album. *Drumroll* UNLIGHT will disassemble the stage in their items!!! 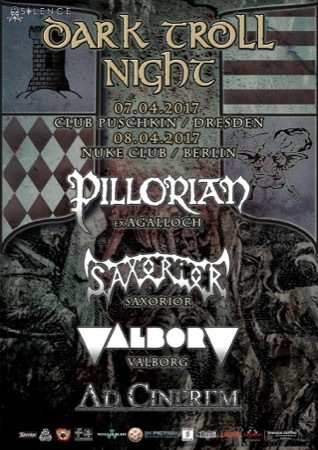 We are very pleased to welcome the Thuringian XIV Dark Centuries, but that is not all, they will enter the castle ruin with a record release show. Finally after 6 years of long waiting and soon 19 years of band history they planned to release their fourth longplayer! The presale officaly starts now! Who wants to be part of Dark Troll 2017 should preorder their ticket at our In Fiction Entertainment Shop before it is sold out like this year! We must thank so many people.Thanks to all the fans for made this festival for the first time ever sold out! Thanks to the best crew and technicans you can wish for! Thanks to the major and the Heimat- and Sportverein Bornstedt! Thanks to all the bands which gave us one eargasm and goosebumps after the other with their music! Thanks to all the photographers and press which did so many great pictures and videos! Thank you to all the traders and the germanic Reenactment-group! We hope to see all of you guys next year again. Here is the official event for the next edition. And also the announcement of the first two bands: Wolfchant and The Committee. We had many requests if we will offer daily tickets. Now one week after the presale is end we had enough time to see and check the results. We have mention it often and now it is become true. The weekend tickets are sold out! We just can offer you daily tickets. Campingtickets will be offered as long as there will be space at the campground. Because of the great reactions of last year we decided to book again the musicduo Waldtraene for open the Dark Troll on thursday. We gurantee to you goosebumps on mass. They also will play several new songs. Like we have promised we would like to present to you the next/last band for our Dark Troll Festival. 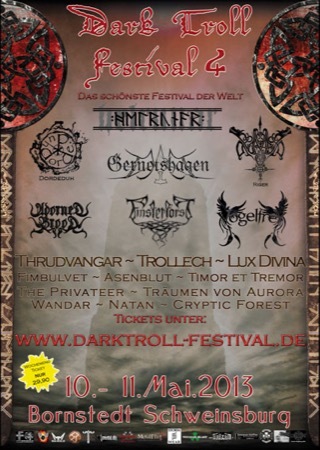 We also would like to show you the final Flyer of Dark Troll and with the hope you share it with all your friends. The band come from Pirna, Saxony and was founded in 1994. Seven albums are released till now - the last in september 2015. Its name is "Saksen" and the band have rocked totally our last Dark Metal Night. Thats why we decided to book them also for Dark Troll Festival to heat you up at our castle! We hope that you guys are as happy as we are about Saxorior! During the last days we have receive many requests if our line up is already complete. Although we think that our line up till now makes every Pagan and Black Metal heart beats faster we will announce other two bands. The first one we reveal now the second will be revealed on thursday. A still young but upcoming band that you should not miss! We wish you all a happy and healthy new year and hope to welcome many of you soon at our castle ruin! Of course we also would like to give you a little band update. The band was founded in 2005 and they come from the Ruhrgebiet. Black Metal is the motto here and their first and only album so far is called "Gram und gleißende Wut". We look forward to Wrack! for end good this year we would like present to you another international band! The band is active since 1992 and they are considered as founders of Norwegian Viking/Black Metal. Within this time they have released eight albums, the last is called "raunijaR". 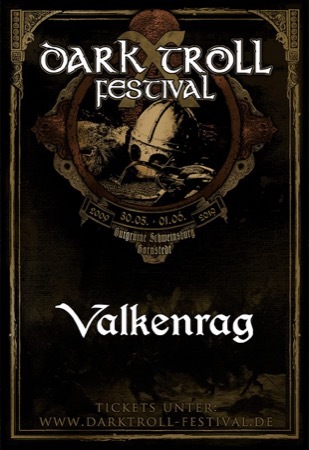 We are glad to confirm Helheim for Dark Troll Festival 2016! We wish you all a nice yule tide and want to suprise you with another top-class Act as a early gift! Besides Thrudvangar and Firtan a third band of our In Fiction roster will join the spectacle. They were already part of this years Dark Troll Festival edition, many of you repeatedly ask for them and also we do not want to miss the chance to bring them back. They will perfom a special show and they present for the first time ever new songs of their upcoming EP (release anywhen 2016)! The great Finsterforst return on our stage!!! WOW already 3,5 years ago that this band played to us. 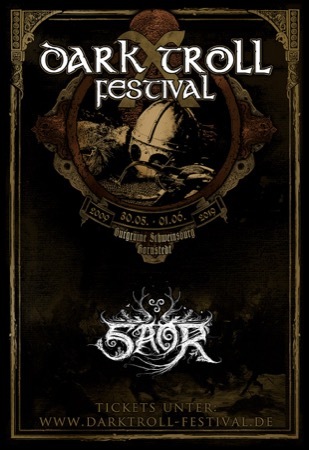 It was the very first band that made its german debut at our Dark Troll Festival. Since then, we have made it as a tradition to book every year bands for their first german live performance ever. Do you already know who it is? They founded the band in 1998. After a short break between 2004 and 2007, they have returned with a new cast. 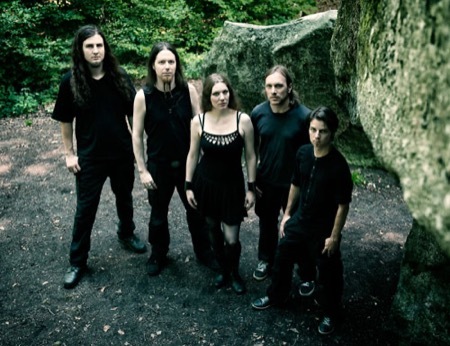 Their music style includes Black, Doom and Pagan Metal. Their music and lyrics are very close to nature, mysticism and paganism. They released two full-lenght albums so far and they come from Barcelona (Spain). For who still have not any idea about it, we give you some help. We are very pleased to announce to you that our friends from LUX DIVINA come back to Dark Troll Festival after three long years! And not only that, they will celebrate to us a record release show of their 3rd album which will come out 2016!!! Sunday - 19 o clock it is time again! As some of you yesterday may have noticed, we have spared no effort and required a third band for their first-ever appearance in Germany. Next to Cnoc An Tursa and Himinbjorg a Ukrainian band joins the lineup, which in our opinion deserve a lot to be seen! They founded the band in 2004 and released 6 albums within this time! They call their music "Heathen Dark Metal", you can recognize influences of Black but also of Pagan into it. The first 4 albums are in english, but with the last two albums they decided to produce it in their wonderful native language. We are glad to introduce you the band Khors! We present to you another band from our In Fiction Entertainment roster which will play on the Dark Troll 2016 edition. 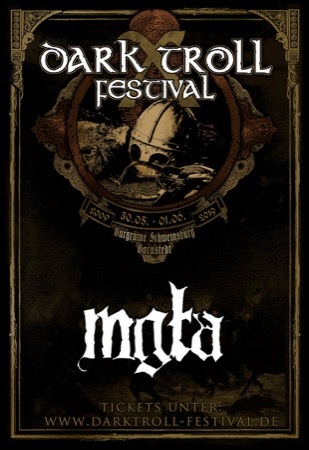 The band was already in 2014 at Dark Troll. They come from Baden-Württemberg (South Germany) and they was founded in the year 2010. An EP and an album was released so far. They played several festivals and concerts nationally and internationally. 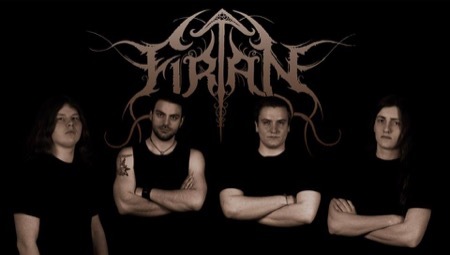 We are looking forward to Firtan! NOW!!! 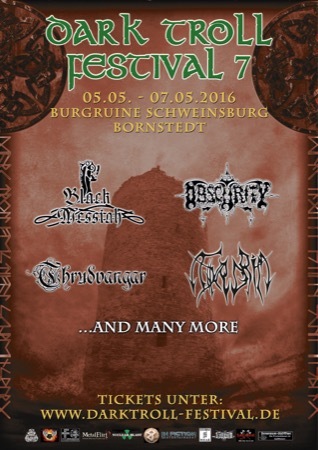 FINALLY THE LONG AWAITED HEADLINER OF DARK TROLL FESTIVAL 2016!!! The band will celebrate in 2016 their 21st anniversary, they come from Helsinki (Finland) and have released 6 albums so far. Their music have many influences which goes from folk to progressive, this combined with brutal metal and their finnish mother tongue lyrics is the best description for it. They have toured through many countries around the world and now finally they come to us and our castleruin! 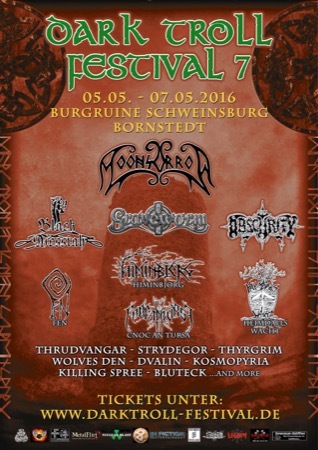 We are glad to announce Moonsorrow!!! The band will bring a 90-minutes headlining show on Saturday and will make quake the old walls of the "Schweinsburg". Today we are happy to announce to you Heimdalls Wacht. The Pagan Black Metal band from the beautiful Münsterland (North-Rhine-Westphalia) is active since 2004 and has released six albums in this time. Their latest album "Ut de dawned olle Tied - Deel Twee (Land der Nebel)" was published this year in October. The imagination that with darkess they bring the old castle ruins to tremble, produce goosebumps to us and we hope will be the same for you! The next band was wished by many of you and we are happy to have the chance to announce them now. They come from Bavaria and their music fits the most in the Black Metal genre. The band was founded in 2014 and their debut album "Deus Vult" was published in April this year. Within this relatively short time, the band gains fast a lot of fame thanks to frontman Helge Stang (Ex-Equilibrium, later Arafel). For the most of you it is no mystery anymore - Wolves Den will heat the castle up! We are glad to announce the next international act! 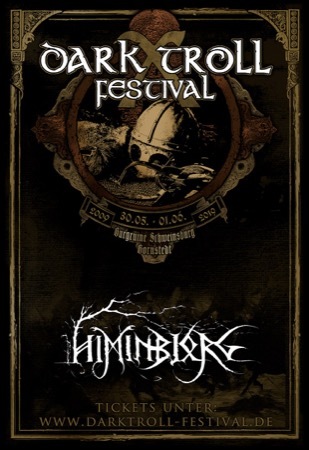 Next to Cnoc An Tursa, this will be the second band who celebrate their german debut: HIMINBJORG! The band comes from Chambéry (France) and is active since 1996. As long as they are active they have released 7 albums. The current album have been released this year and is called "Wryd", and they have also signed a contract with Osmose Production. After a tremendous portion of Death Metal, we present to you another Black Metal act! We are happy to announce BlutEck from the wonderful Thuringia. The band was founded in 1997 and will release in the upcoming December their debut album under a new fomartion, which title is "Pest, Tod und Teufel". Unfortunately there are till now no songs available online and when the band will reveal it, we will post the link on our Facebook page. 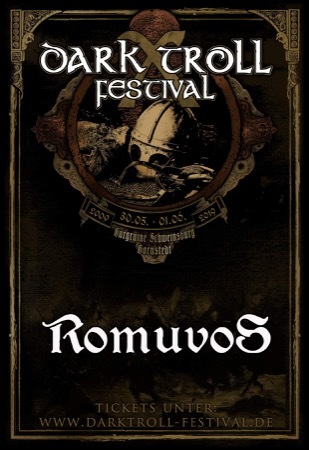 Today we want to present to you the next band for Dark Troll Festival. This year for the first time we had a the Death Metal Band Agonize, for the next year edition we want to show up again with another Death Metal Combination. 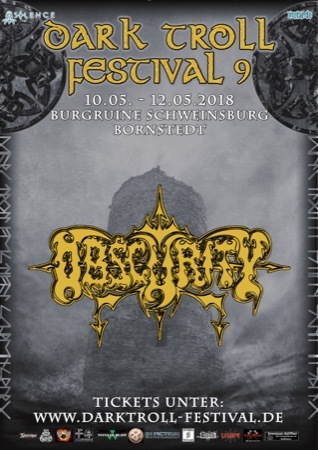 We are happy to annouce the six-member Band Killing Spree from Spremberg (and vicinity). Under this name they are founded since 2001, but the roots of the band date back to 1990! These words capture the essence of Fen, band from London. Founded in 2006 they have released within this time 4 full-length albums. The bands name comes from a region in England called "The Fens". The Fens have very flat and mysterious landscapes, with many marshes and wetlands. The band members grew up in this area, and find much of the inspiration for their music and themes from the atmosphere of this region. They have been the last time in Germany in the year 2010, while they supported Negura Bunget at their tour and 2013 as support of Agalloch. Now they are finally back to us! 2016 finally again at our castle. 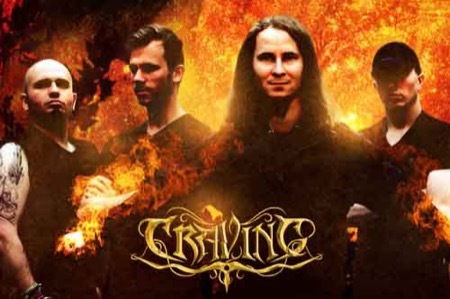 We are glad to introduce to you Dvalin, which will present to us their Progressive Pagan/Folk Metal. 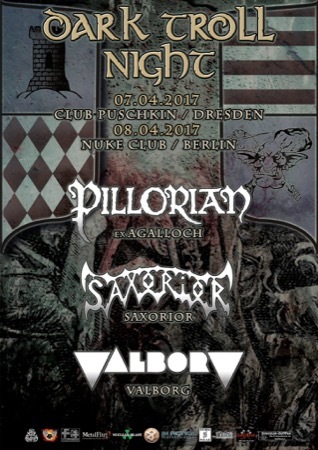 Dvalin comes from Würzburg and announced just a week ago their deal with Noise Art Records. 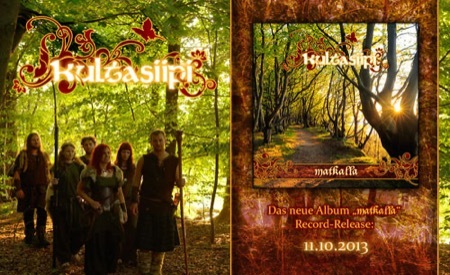 You can preorder their debutalbum "Aus dem Schatten" from today on! PS: Sunday we will reveal the next international Act - Atmospheric Black Metal. Also the updated Flyer we will reveal Sunday. As the most of you know, we have made since the first Dark Troll Festival a tradition to book some bands for their first concert ever in Germany. So in 2013 we were able to book Lux divina (ES), in 2014 caladmor (CH), celtachor (IRL) and falloch (UK) and at the end in 2015 with Saor (UK) and Kauan (UA). Of course we want to continue this tradition and so for the edition of 2016 we are glad to announce you the first german concert of Cnoc an Tursa. 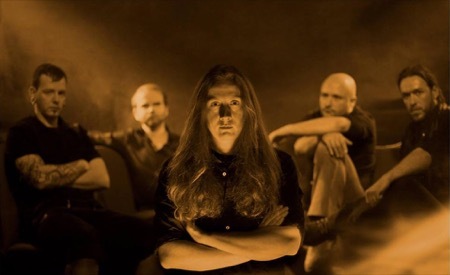 Black/Folk Metal from the beautiful Scotland. First album was relased 2013, the second is at this moment in production. We want to introduce to you the first international band! 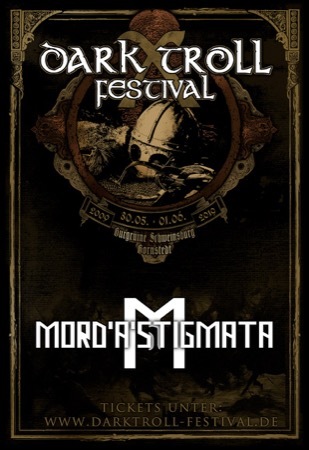 From the beautiful Südtirol, we are glad to announce the great band Graveworm. In the year 2016 they will be active since 24 years and released within this time nine full-lenght albums. 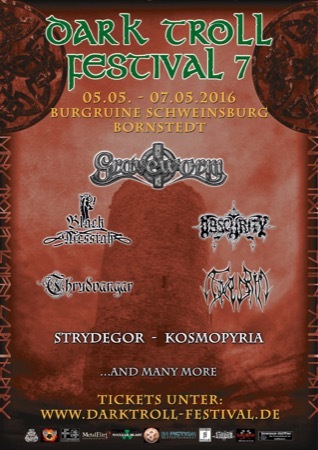 Also Kosmopyria from Coburg will be part of the line up in the Dark Troll 2016 edition! PS: Sunday it will be a special reveal and the updated flyer! We want to introduce to you Strydegor from Schwerin, Germany. Again thanks to everyone who showed up this year edition and make it to the hell of a party it was! This year was the first time where it was that full. We search for new solutions! In the middle of this month the next band will be revealed. 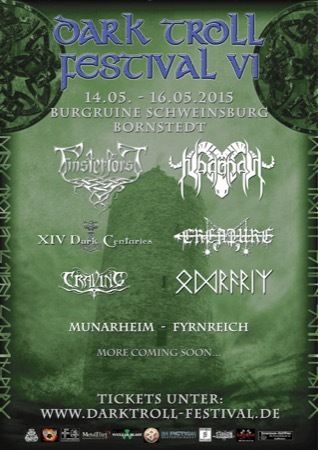 We are more than happy to confirm the headliner for Dark Troll 2015: Thyrfing. That is not all though. 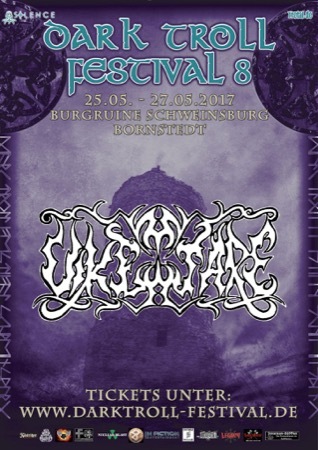 Thyrfing will play a very special 80 min long special 20th anniversary set. The ones who will miss this show are to blame . so far and they keep impressing the fanbase with their unique style, which is a mixture of viking and black metal. The lyrics, which are mostly in Swedish (some of the songs are also in english), are perfect for headbanging but also great for those who crave that scandinavian tranquility. GERMANITAS is a German Pagan/Black Metal Band from Saxony-Anhalt formed in 2011. The name is of Latin derivation and means “brotherhood”. GERMANITAS is currently made up of five members. The music is a mixture of melodic Pagan sounds and gloomy Black Metal elements. The lyrics are exclusively German and deal with the topics nature, history and Germanic mythology, which are carried out in clean and guttural singing. The Band self-financed and published its first demo “Uz Heimisk Waldatura” in 2012. 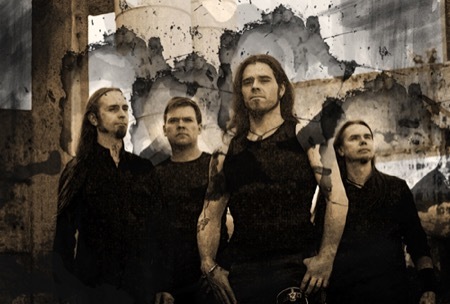 Celtachor is a Blackened Folk Metal band from Ireland. Born in 2007, it became a full working band in 2010, melding the influences of black/doom/folk metal together in one combined force. The band sees themselves as the narrators of Irish Mythology. The band’s main goal is to showcase their own vision of those stories, playing the music with passion and from the heart. The band just released their first album in November 2012. Celtachor has shared the stage with the likes of: Skyforger, Primordial, Heidevolk, Suidakra, Cruachan, Wolfchant, Alestorm, Mael Mordha, Waylander, Thurisaz, Nothgard, Darkest Era. 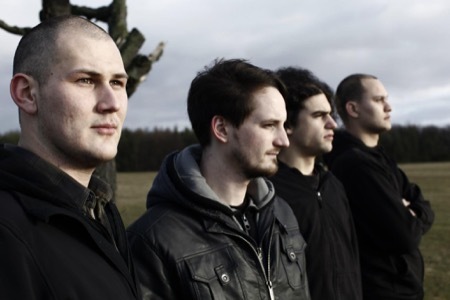 CALADMOR is born from the band Pale which was founded in 2001. The meaning of the name – dark light – is a significant paradox marking the music of Caladmor: Epic tunes creating epic wideness, thundering guitar riffs and stirring melodies meet the vocals of Babs and drummer Maede, leading the listener on a philosophical path through the land of myths from exhilarating heights down to the edge of an abyss. 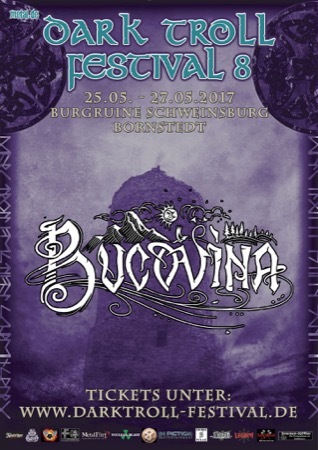 The music of Buchonia can be described as blackened-pagan-metal. This is a combination of melodic pagan metal and a touch of black metal which riddled with profound lyrics represents the unique sound of Buchonia. Based in Glasgow, the duo known as Falloch are a growing glimmer on the shoegazer black metal horizon. Andy Marshall and Scott McLean came together with the desire to create music that conveys atmosphere and emotion utilizing an expansive backdrop of styles and sounds. Metal, post-rock, folk, with minimalist composers Yann Tiersen, and Arvo Pärt all factor in to the inspirations that drive the songs contained on Where Distant Spirits Remain. With a career spanning over 20 years, four full-length albums released so far and hundreds of live gigs performed worldwide, Stormlord is one of Italy’s most celebrated extreme metal bands .The style of the band, classified as Extreme Epic Metal, blends influences from black metal, death metal, mediterranean folk music and symphonic music, creating an unique and recognizable sound supported by legions of loyal fans since 1991.